Professor Mats Danielsson, KTH Royal Institute of Technology, Stockholm, Sweden, heads a research group in medical imaging and holds more than 20 patents. He was the founder of Sectra Mamea, developing a mammography system based on photon counting detector technology which was subsequently purchased by Philips in 2011. Professor Danielsson will deliver a presentation on his current research work on ‘detectors and spectral imaging for clinical imaging in CT’. As a precursor to the meeting, a workshop on “Innovation and Entrepreneurship” was held on the 1st April 2016 followed by the conference dinner. This workshop has been accredited by EFOMP as a CPD event for Medical Physicists(3 CPD credit points). Many thanks to our sponsors for their generous support for this event without which it would not be possible. Thanks also to UPMC Whitfield Cancer Centre and B2B Communications for providing media coverage of the Annual Scientific Meeting. The Tower Hotel, The Mall, Waterford Please let a member of the hotel staff know if you require vegetarian, vegan or coeliac lunch menu options. The Conference Dinner will take place on Friday evening at La Bohème, 2 George’s Street, Waterford . A subsidised rate of €25 per person is available to conference delegates. Click to view an example menu. Please let a member of the restaurant staff know on arrival if you require a vegetarian, vegan or coeliac menu option. Imaging Equipment Ltd. will be awarding a bursary of €500 to Trainees or Junior IAPM members with less than 2 years’ experience. This bursary is to be used for study, attending conferences / courses etc. The general theme for the competition is “clinical improvements to service offered through medical physics!” Guidelines for applicants are available here. The program for the Annual Scientific Meeting (ASM) is available to download here. EFOMP CPD POINTS HAVE BEEN APPLIED FOR. Online registration for the 7th Annual Scientific Meeting is now closed. Late and on desk registration for the Annual Scientific Meeting is available -however, late fees apply. The program for the workshop is available to download here. 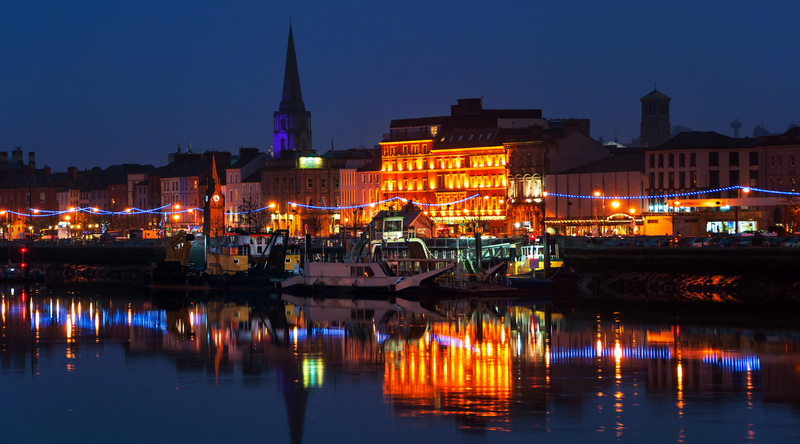 Waterford City is located in the sunny south east of Ireland. It is famous for being the oldest city in Ireland as well as a Viking City. The Tower Hotel is located in the heart of the Viking Triangle, overlooking the River Suir and Reginald’s Tower. Waterford is easily accessible by road, rail and even by air. If you are thinking of staying and would like more information on what to do in and around Waterford City and County please see the Visit Waterford website.